As if South Eastern MA wasn't starstruck enough when Anthony Bourdain took his show No Reservations to the Azores, HGTV is taking House Hunters International to the homeland... well, homeISlands! I hope everyone takes some time to check it out in Feb&March! Viva Os Açores<3 House Hunters International in the Azores! 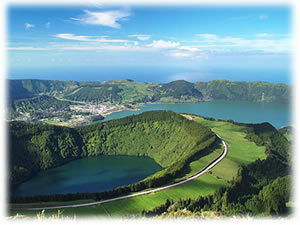 The island of Sao Miguel Azores is one of the most beautiful islands. Most beautiful scenery i have seen .especially when the hydrangeas are in full bloom. Definitely worth a trip there !!!! !You will not be disappointed.